BRUSSELS, Belgium – Since June 2006, the regular import duty rate on bicycles entering the European Union (EU) from outside Europe is 14%. On all so-called “other” bicycles such as tricycles or unicycles and on bicycles without ball bearings the import duty is 15%. On most bicycle parts it is 4.7%, whereas some parts and accessories enjoy lower rates. 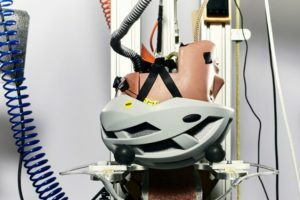 The import of bikes with an auxiliary engine, both pedelecs and e-bikes, is subject to 6%. All relevant rates are specified in the table below. But there are many exceptions to this rule. On the one hand, within the scheme of Generalized Tariff Preferences (GSP), the EU grants preferential import tariffs to the least-developed countries with a view to boosting their economic development. On the other hand, the EU translates special relationships with for instance neighbouring countries or accession countries into tariff preferences. In any case, none of these preferential tariffs apply automatically. Countries that do not enjoy preferential treatment could make improper use of the preferential tariffs by means of a detour via a country with preferential treatment. In order to prevent them from doing this, the system of rules of origin has been set up. This means that the exporting country has to prove that the product really has its origin in that country. 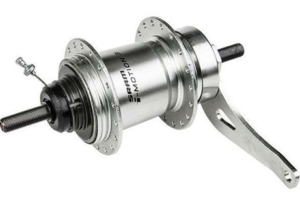 For all bicycles with our without ball bearings, originating in a country that enjoys preferential treatment but is not a Least Developed Country (LDC), the product has to be a manufacture in which the value of all non-originating materials does not exceed 50% of the ex-works price of the product. 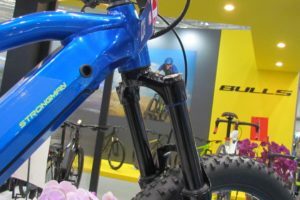 For all bicycles, with or without ball bearings, originating in a Least Developed Country, the product has to be a manufacture in which the value of all non-originating materials does not exceed 70% of the ex-works price of the product. For motorcycles (including mopeds) and cycles fitted with an auxiliary motor, i.e. pedelecs and e-bikes, originating in a country that enjoys a preferential treatment but is not a Least Developed Country (LDC), the producer can choose between manufacturing a vehicle from materials not classified in heading 8711or manufacturing a vehicle in which the value of all non-originating materials does not exceed 50% of the ex-works price of the product. For motorcycles (including mopeds) and cycles fitted with an auxiliary motor, i.e. 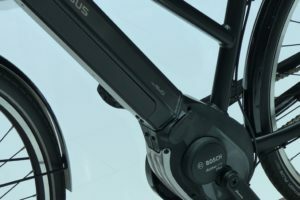 pedelecs and e-bikes, originating in a Least Developed Country (LCD), the producer can choose between manufacturing a vehicle from materials not classified in heading 8711or manufacturing a vehicle in which the value of all non-originating materials does not exceed 70% of the ex-works price of the product. The list of Least Developed Countries can be found here: http://www.un.org/esa/policy/devplan/profile/ldc_list.pdf. In most cases, the origin of a product is certified by means of a EUR.1 certificate or a EUR-MED-certificate, which are EU documents or by a Form A, which is an UNCTAD document. These are issued by the customs in the region from where the goods are exported and checked by the competent authorities in the importing country. In order to obtain a EUR.1 certificate or a EUR-MED certificate or a Form A, the following conditions must be met. There must be an agreement between the EU and the exporting country concerning preferential treatment. 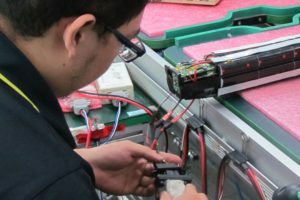 The product must comply with the rules of origin and the products must be transported directly from the country of origin to the country of destination. Storage or transhipment in a third country for reasons relating to transport is permitted, provided the goods do not undergo processing in the third country. If the total value of the goods does not exceed € 6,000, then usually an invoice declaration may be used instead of the afore-mentioned documents. The declaration may be written on an invoice, a delivery note or any other commercial document, which describes the products concerned in sufficient detail to enable for them to be identified. The exporter must issue only one invoice declaration for each consignment, make the declaration in either French or English, sign the declaration in manuscript and have at any time, all appropriate documents available substantiating the originating status of the goods concerned. Bilateral cumulation exists between the European Union and all countries that enjoy preferential trade arrangements. It means that all materials and components originating in either the EU or the exporting country have originating status in the exporting country. It does not necessarily work both ways. With Albania, Bosnia & Herzegovina and Serbia & Montenegro for instance, the EU allows bilateral cumulation in one direction only. These countries can further process products originating in the EU just as if they had originated in their own country. The same is not possible for the Community. Diagonal cumulation is when countries A, B and C have bilateral agreements that provide for diagonal cumulation. 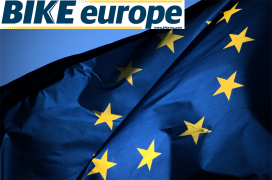 European cumulation system is operated between the Community, the Member States of the European Free Trade Association ( Iceland, Liechtenstein, Norway and Switzerland) and Turkey. In this framework, the Pan-European cumulation system was created in 1997. It includes European Union, the European Free Trade Association (Iceland, Liechtenstein, Norway and Switzerland) and Turkey. So, Pan-European cumulation means that products that have obtained originating status in any of the 32 countries concerned may be added to products originating in any of the other countries without losing their originating status within the pan-European zone. A system of Pan-Euro-Mediterranean cumulation of origin is being created. The system will be applicable between the EC and Algeria, Egypt, Israel, Jordan, Lebanon, Morocco, Tunisia, West Bank and Gaza Strip, the EFTA countries (Iceland, Liechtenstein, Norway and Switzerland), the Faroe Islands and Turkey. In view of the political situation the system has been suspended for Syria. In this Pan-Euro-Med system, diagonal cumulation means that that products which have obtained originating status in one of the 42 countries may be added to products originating in any other one of the 42 without losing their originating status within the Pan-Euro-Med zone. However, this diagonal cumulation only applies on condition that the 2 countries involved have concluded free trade arrangements with each other, containing identical rules of origin. In this framework, full cumulation is currently operated between the Community, Iceland, Liechtenstein and Norway and between the Community and Algeria, Morocco and Tunisia. These countries apply full cumulation between themselves and diagonal cumulation with the other pan-European countries. The afore-mentioned EUR-MED certificate has been developed specifically for this Pan-Euro-Mediterranean cumulation system. A table of the free trade arrangements between the various countries is regularly updated and published in the Official Journal. The only countries that are currently of importance to the bicycle business are Tunisia and Turkey. So far Tunisia has free trade arrangements with the EU, EFTA, Egypt, Jordan, Morocco and Turkey. The latter country has free trade arrangements with the EU, EFTA, Egypt, Israel, Jordan, Morocco and Tunisia. Finally, there is regional cumulation. This concerns three groups of countries that benefit from GSP. Products originating in any of the countries of a particular GSP group and used in further manufacture in another country of that group shall be treated as if they originate in the country of further manufacture, provided the value added there is greater than the highest customs value of the products used originating in any one of the other countries of the regional group, and the working or processing carried out there is more than minimal. Where these conditions are not both fulfilled, the goods are considered to originate in the country of the regional group, which accounts for the highest customs value of the originating products coming from other countries of the regional group. Group I: Brunei- Darussalam, Cambodia, Indonesia, Laos, Malaysia, Philippines, Singapore, Thailand, Vietnam. Group II: Bolivia, Colombia, Costa Rica, Ecuador, El Salvador, Guatemala, Honduras, Nicaragua, Panama, Peru, Venezuela. Group III: Bangladesh, Bhutan, India, Maldives, Nepal, Pakistan, Sri Lanka. To the rules of origin, some other rules have been added mainly in order to regulate re-exportation. The no-drawback rule can be explained best with a concrete example. Suppose a European bicycle manufacturer uses a number of non-European parts to produce his bicycles and these parts have been imported into the EU at the preferential tariff of 1.2%. The bicycles of the European manufacturer are destined for export to Switzerland. Their ex-works price amounts to € 100. The value of all the parts imported from outside the EU may not exceed € 50. 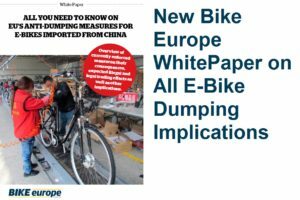 If that condition is satisfied the European manufacturer may export the bicycles to Switzerland at the zero tariff with the EUR.1 certificate. 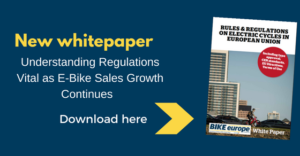 This implies however that the non-European parts used in the manufacture of the bicycle are no longer exempted from import duty. Consequently, the difference between the preferential rate (1.2%) and the standard duty (4.7%) must be made up. The website of DG taxation and Customs Union contains a lot of information on many different customs’ aspects: http://ec.europa.eu/taxation_customs/index_en.htm. On this website, you can consult, among other things, a User’s Handbook to the rules of preferential origin used in trade between the European Community, other European and the Mediterranean countries. See: http://ec.europa.eu/taxation_customs/resources/documents/customs/customs_duties/rules_origin/preferential/handbook_en.pdf. Furthermore, there is a Guide for traders on GSP rules of origin. See: http://ec.europa.eu/taxation_customs/resources/documents/guide-contents_annex_1-en.pdf. Bicycles are classified in four different categories, and parts in 17 code categories (see table).